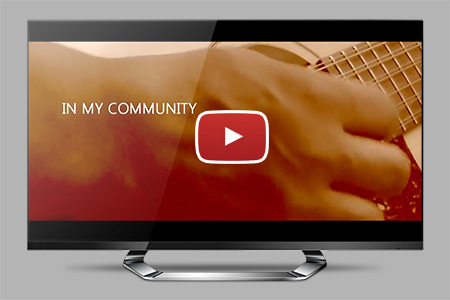 The featured musician, Mark Wilson, was part of a project called “In My Community” that would be used for promoting the organization’s annual report. The idea was to show that people who are living with a spinal cord injury are still members of our community. Here in the video, Mark tells of his story and what he does today to bring life to any event. The video was created using a regular consumer video camera, as well as modifications with filters using Vegas Pro and Photoshop. One of the challenges was synchronizing Mark’s live performance with his recorded CD. It took some time-stretching and re-syncing in order to make the lip-sync as close as possible.